The Asus VivoTab RT TF600T is a tablet that does not support for GSM voice communication, SMS or MMS. Being one of the most craved tablets from Asus, the device is popular for its amazing cameras and the great storage capacity. If using it for a long time, you started to be bothered by a few software issues, you may want to regain functionality of the tablet. A good solution to get rid of all viruses that are causing your problems is to hard reset the Asus VivoTab RT TF600T to factory software. This is a highly efficient process that cleans your tablet of all files that could be a place to hide for the bug. By doing this, a loss of data will be proceduced, but you can definitelly avoid this by creating a backup. 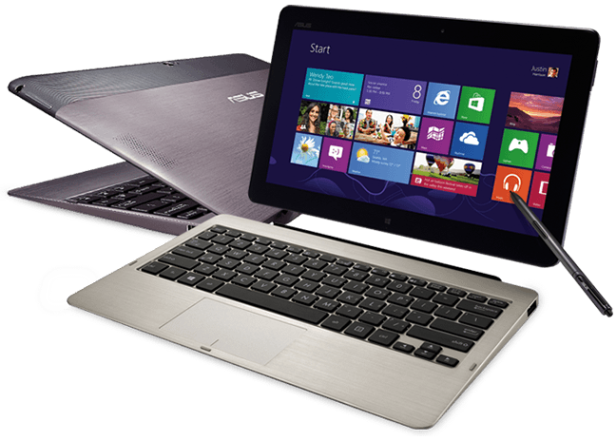 As you may already be informed, this Asus runs on Microsoft Windows RT and comes with a super IPS + LCD capacitive touchscreen. Being equipped with a quad-core 1.3 GHz Cortex-A9 processor and 2 GB RAM, the tablet serves for a variety of activities. Some of those are taking pictures and recording videos, which can be done via the tablet’s primary 8 MP camera, as well as its secondary 2 MP one. If your Asus Vivo Tab RT TF600T only has minor software-related problems, the first step to take is trying to soft reset it. This can be done by pressing and holding the Power button (marked with 8 in the image below) for about 8 seconds. If this doesn’t solve your issue, you can also try to remove and re-insert the battery of the tablet. 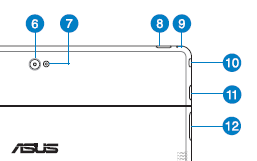 The second option is to perform a master reset of the Asus Vivo Tab. As mentioned before, restoring the tablet to factory software will wipe all the data stored on it, which is why you can’t get started before saving all important information. This can be done by simply connecting the tablet to a computer via the USB cable and copy all contacts, account data and important applications into a separate folder. Launch the Charms bar and go to the Settings folder. Tap Change PC Settings and choose General. Select Remove everything and reinstall Windows then press Get Started. Follow the instructions on the screen and wait for the tablet to reboot. Restart the slate and press the F8 button and wait for the Advanced Boot Options menu to pop up. Use the arrow keys to choose Repair your Computer, then confirm pressing Enter. Choose the keyboard layout and click Next to move further. Enter your username and password when prompted and click OK.
Go to the System Recovery Options and select Reinstall Windows. 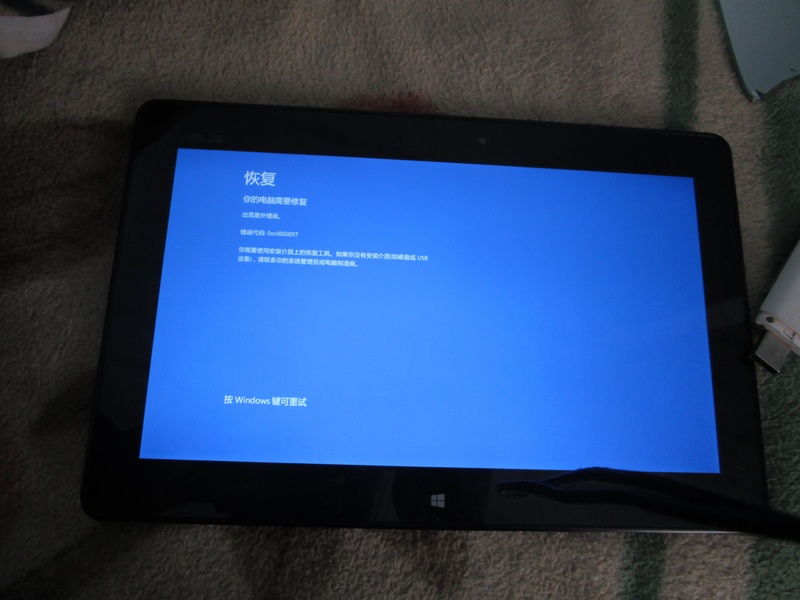 The tablet will now erase all data and reinstall the operating system. I wanna format the WIN 8 RT, and install andriod on it, what is the best way of doing it? I have formatted win RT from my Asus TF600T. It now stays on the Asus Logo. It can’t boot to windows anymore. I want to reinstall it to Win RT. How do I do it? Someone bit-locked mine and I am in the same position. So far I haven’t heard of anything that actually works. I am going to try a usb cdrom next but I have very little hope it will work. I want to format the Win8RT drive and reinstall Win10Pro on the drive. How would be the best way to do this?